Find out the most sulit alternative! I remember the time when my heart skipped a beat after hearing that Urban Decay was set to release their Naked Palette. I knew I had to own one—it's like the OG of neutral eyeshadows—but my major concerns were: a) It was quite expensive ($54 or P2,700 excluding shipping and handling), and b) I don't live in the US and I don't want to deal with customs just for one piece of makeup. So I found a reseller (who kind of took advantage of the demand and jacked up the price), and got my UD Naked Palette three weeks after it was launched. Fast forward to today, I AM STILL LOVIN' MY BABY. 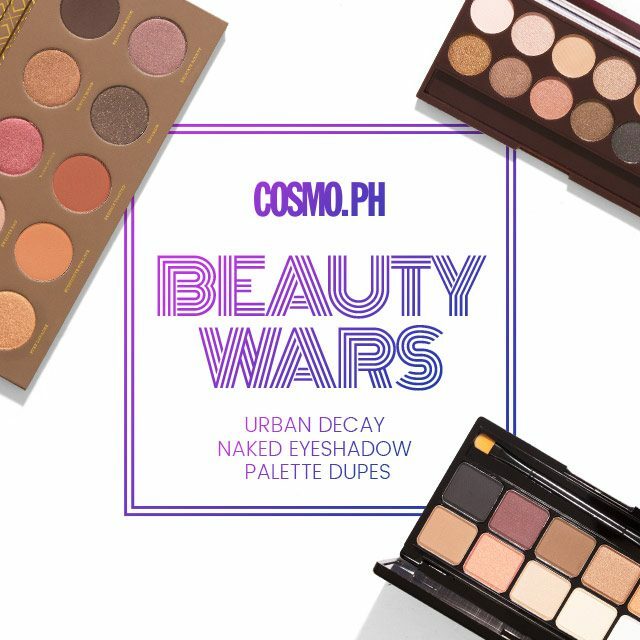 And because we know that not everyone has the patience or the access to buy this beauty addict fave, we decided to test out possible dupes of the Urban Decay Naked Palette for today's Cosmo.ph Beauty Wars. What It Is: A 12-pan eyeshadow with a nice mix of warm neutral shades. 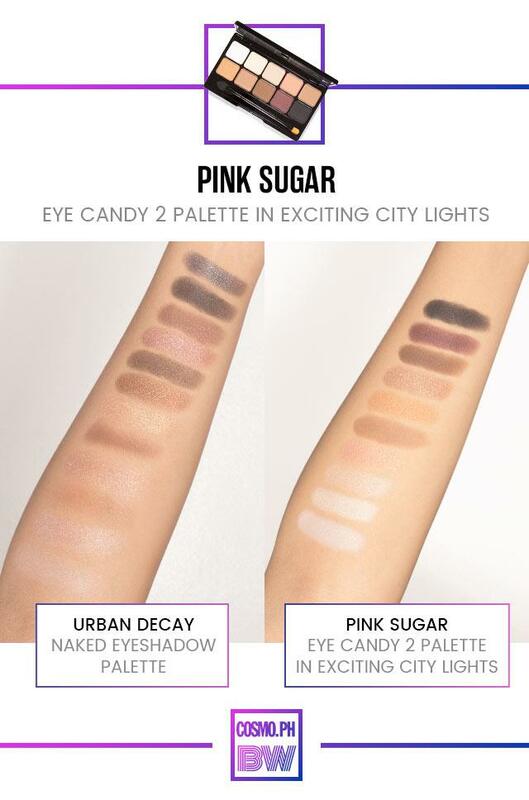 Why We Love It: The colors on the pan closely resemble all the shades from the Urban Decay Naked Palette. 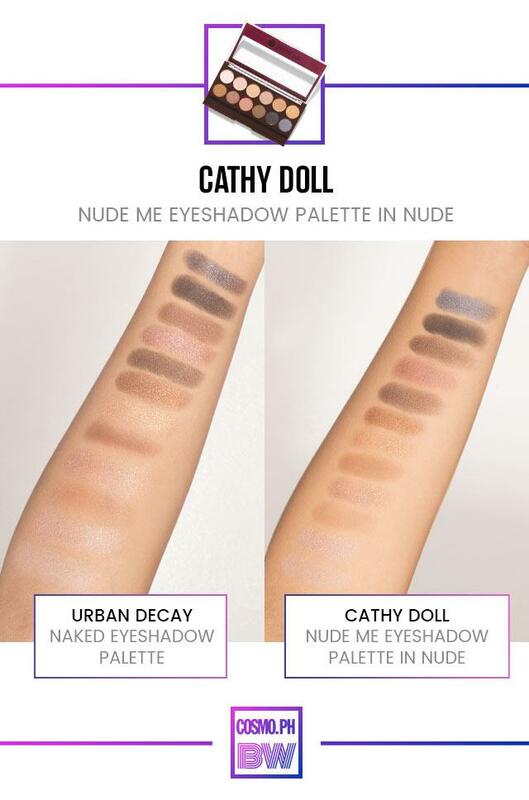 The only difference is that Cathy Doll's version is more powdery. Nevertheless, it's a good buy if you're in it for the colors. What It Is: An eyeshadow palette with 10 colors, ranging from basic beige to deep plum. 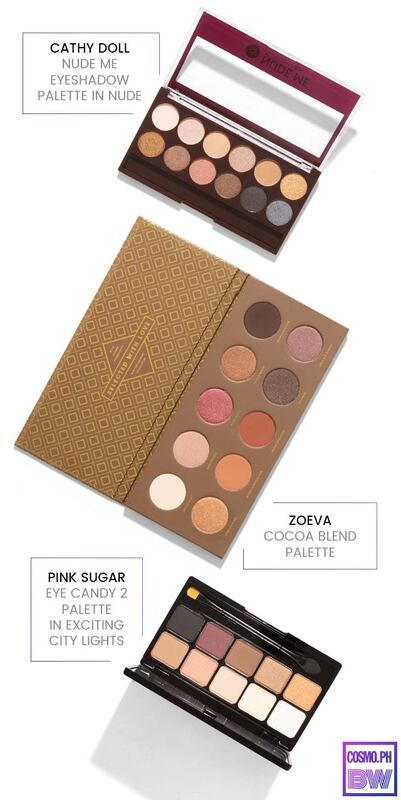 Why We Love It: Although you won't get the same shades of the Naked Palette, Zoeva's got dramatic neutrals, both in matte and metallic finishes, that can take your eye makeup look from day to night. Plus, the pigmentation is impressive—one swipe is enough to make the colors pop on the skin! What It Is: A 10-pan neutral palette with a mix of matte and shimmer shades. Why We Love It: You won't expect it to be a photocopy of UD, but you'll get the versatilty of the palette's wearable earth colors. Do a wash of mocha shadow for lazy days, or go bold with gray and black shades. 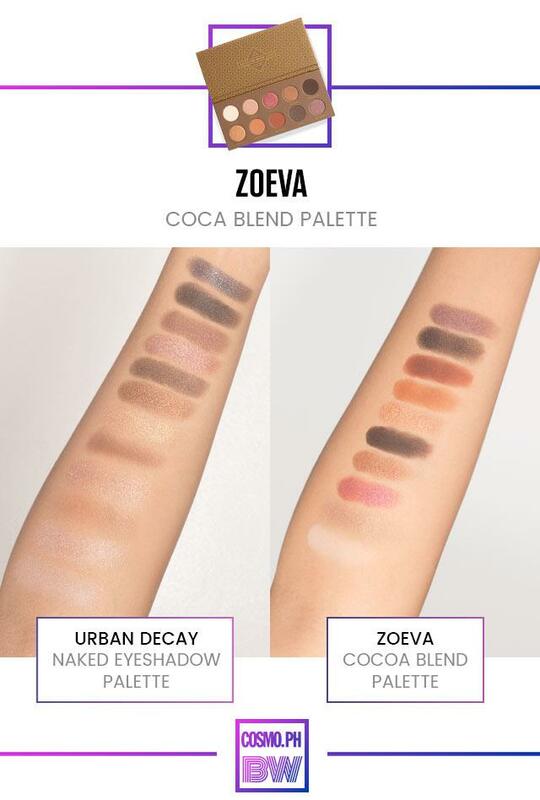 If you look closely, it can pass off as the Zoeva Cocoa Blend dupe!